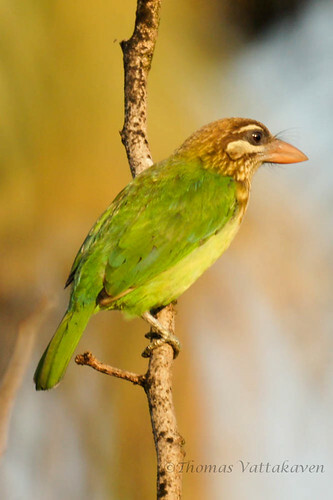 The White-cheeked Barbet was formerly known as the Small green Barbet in India. 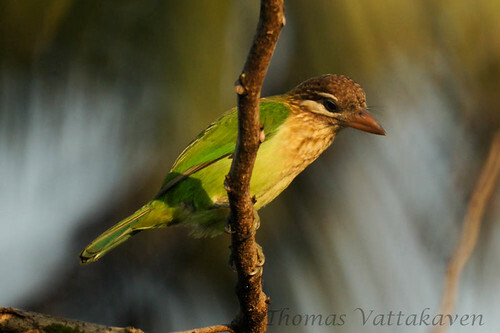 This species is endemic to Southern India and can be differentiated by its white cheek and white supercilium (above eyes). 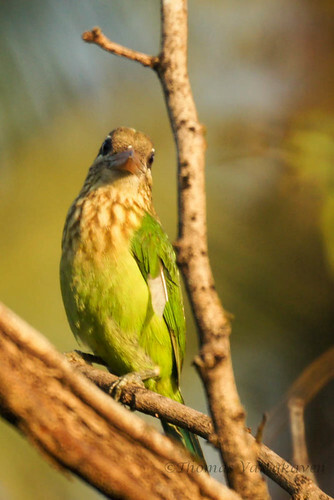 They are primarily frugivorous are are important agents in seed dispersal. However, they can be quite a pest in fruit orchards. 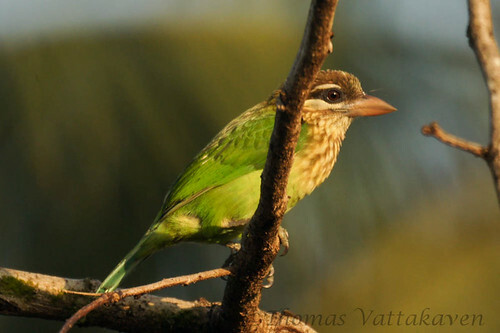 They blend in well with their green surroundings and can be hard to spot, however, they form one of the commoner species around Karimannoor. When not visible, their loud calls of kutrooo kutroo are audible from afar. 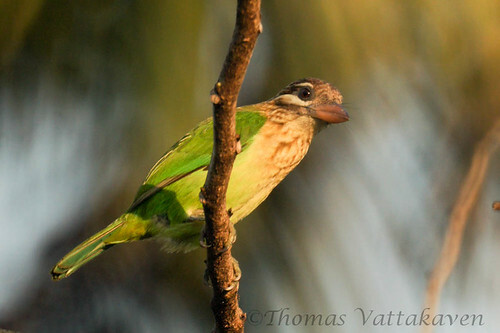 Around our house, these birds frequent the Papaya trees, often getting to the fruit before we can. 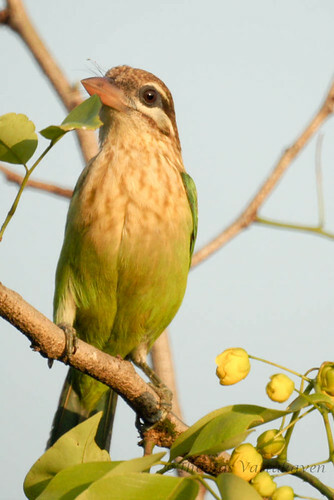 They also feed on the Rose apples and Jamun fruits.